CAN MEMES BE CONSIDERED ART? The forefront of the 2016 US elections and the BREXIT vote were wars waged online: trolls versus bloggers of all kinds, violent and economically uneducated socialist and communist versus laughable self-styled neo-Nazis and fedora-tipping atheists, and whatever normal and unsavoury types of people you can imagine. And the weapon of choice is nothing more than colourful JPEG images that spout painful truths in line with certain ideologies. A normal person un-initiated with the ways of the internet would have thought that the world has gone crazy, but this is the painful truth that everyone has already accepted and employed in a vast number of online campaigns for their own agendas. In the past, artists would use their easel and paints to do just the same. Now we regard those works as classical pieces of art. The question now is: can we consider the same with memes? Memes can be described as jokes in image format or video format. The topic of these jokes can be anything as simple as Fry (from the animated comedy series, Futurama) holding a bunch of bills with the caption “Shut up and take my money” (which meant that the poster has found something of great value to him that he is willing to pay any amount) to politically charged memes of political figureheads that act as criticism against that person. The images and symbols used can be lighthearted to shockingly grotesque and gruesome, depending on the ideas presented. What makes it different from other viral images on the Internet is that they present an idea or culture that many people subscribe to. The ideas don’t have to be factual, but the most popular memes have always been factual. Some famous memes, however, have become annoying to some. This is because memes usually are funny only for so long. The internet, partly being an online popularity contest, would have people post memes repeatedly over and over again. Just like jokes, overused memes gets old. Some burn out and disappears forever. Others just become less used, and can only be seen used when there’s an appropriate circumstance. But Can it be Art? If you take a look at the past you can see that art has been used to do the same thing memes do now: bright colorful images that represent an idea. If you take the definition of art, you can see that memes do fall into its definition. There was also an art movement around the 1950’s that used popular media as a source of inspiration: Pop Art. If one thinks about it, memes can fall under the category of Pop Art (using popular media styles to create art). Many accept this idea already. In 2017, an exhibit dedicated only to memes opened in LA under the title “by any memes necessary.” The organizer, who goes by the username @ka5sh on Instagram, said in an interview that they did this because he wants to bring more legitimacy to memes as an art form. “I’m honestly not sure what to expect, this seems like a meme convention,” he said. “It started off like half joke and half me being serious. A lot of meme-rs are coming out for this so that’s tight.” The exhibit was done with the cooperation of Junior High, a Los Angeles non-profit community space. This year, KnowYourMeme.com, a popular meme site, reported on another exhibit: “Blocked and Reported: A Meme Art Show” that was held last January. Why are Memes Not Art? There is, however, a counter-argument that says memes can’t be art because they have no artistic value and were made for cheap laughs. And that’s true: memes have a short lifespan and can only be popular for so long. Memes of 2018, like Ugandan Knuckles (seen above), only lives in a short lifespan because of the environment. 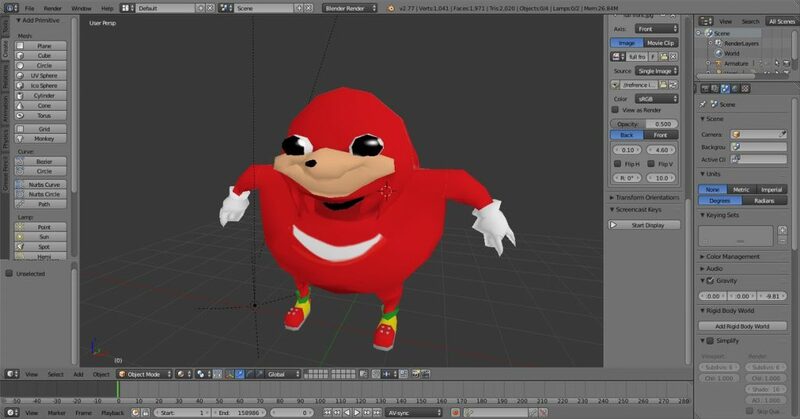 In the case of Uganda Knuckles, it lived only until virtual reality (VR) users were able to learn how to make better online avatars. Memes about video games die out as soon as the next big video game hits the shelves. Political memes die out as soon as the politician becomes irrelevant, like many of the Hilary Clinton memes, compared to Donald Trump memes that are still used because he’s now the President of the USA. Given that these two arguments are convincing in someway, it might be up to the audience themselves to decide if he or she will treat memes as art. Some are, some aren’t. But is this really a good way to settle if memes are art? Maybe. Opinions about art, after all, is just as subjective as memes themselves. 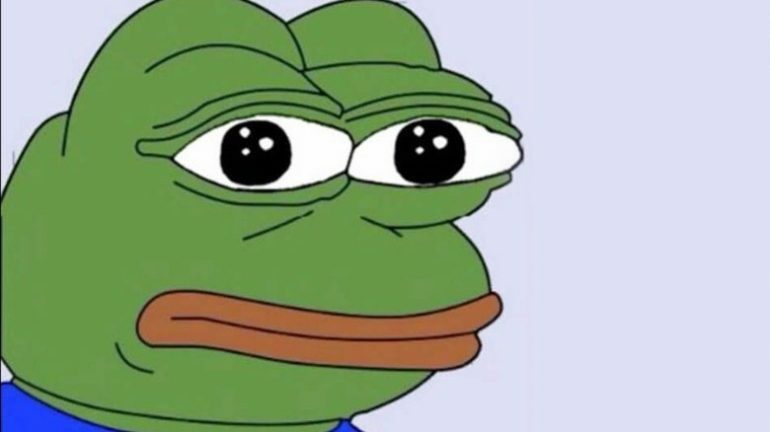 1st Image: Pepe The Frog, one of the most well-beloved memes on the internet. Via KnowYourMemes. 2nd Image: Ugandan Knuckles, a popular meme from 2018 that came about due to the emergence of VR chatrooms. Via Deviant Art.